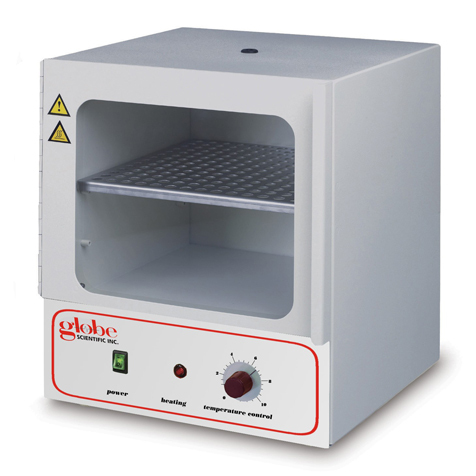 Globe's mini incubator provides even heating and uniformity using wrap-around heating elements. Control of heating and temperature stability are maintained by a hydraulic thermostat. 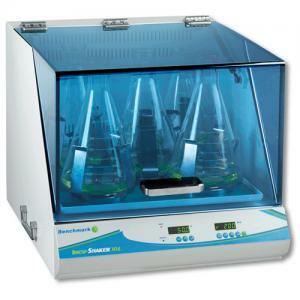 A thermometer port is built into the top of the incubator. A large plexiglass viewing area in the door of the incubator gives a clear view of the contents. 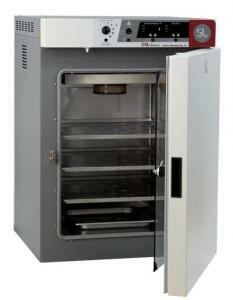 Easy to clean shelves can be placed at two levels within the chamber. The corrosion resistant interior and sturdy, dependable construction provide a long, maintenance-free, service life. 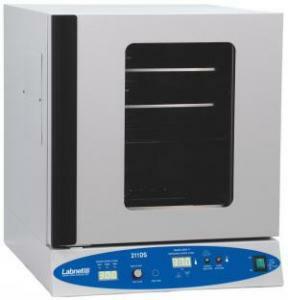 The mini incubator can accommodate up to 48 petri dishes or 28 standard 96 well plates.